Uniquely, Don-Bur manufacture and finish the entire product in-house. From the outset, we assume total responsibility for optimization, suitability and durability. In our view, these three key factors embody the term "value" and every client we have demands nothing less. The "one-stop-shop" ethos gives the customer peace of mind, knowing that Don-Bur has total accountability. 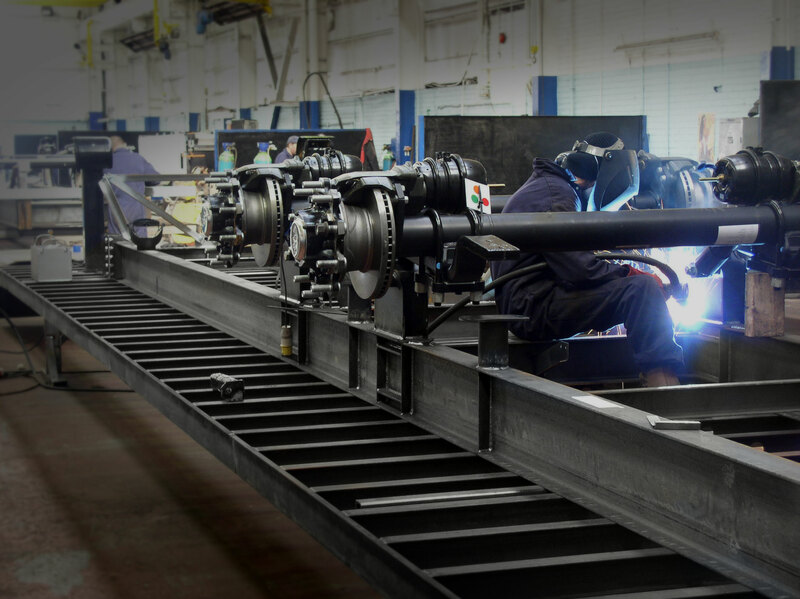 Don-Bur has arguably the strongest engineering team in the industry - in terms of both manpower, skill levels and technology. The department runs the latest version of Solidworks 3D engineering software. 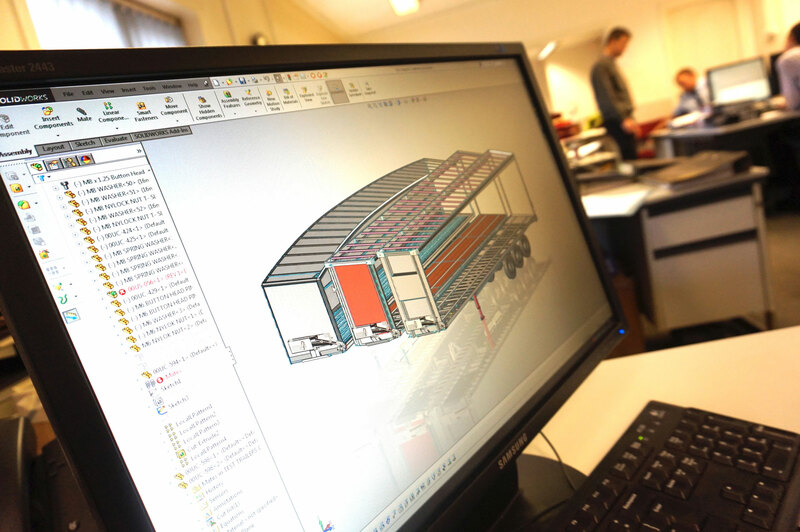 Solidworks provides the ability to rapidly create product models in 3D space, enabling simple prototyping and accurate knowledge of the final product dimensions, capacities and weights before any metal is cut. Providing the backbone to every product, the chassis/ subframe is perhaps the most important component. It provides the core structure and strength and is subjected to the highest stresses and strains. It is therefore critical to ensure that the chassis is entirely suited to the intended operation. A brewery, for instance, will want the lowest unladen weight and will continually subject the flooring and structure to heavy impacts. On the opposite end of the scale, a garment carrier will demand the best possible internal cubic capacity and effective use of space. Body (or component) manufacture includes the core body sections such as front bulkhead, rearframe and roof. For more complex vehicles, it will also include items such as lift pillars and uniframes for hydraulic lifting decks. To optimise efficiency, each part is created by specialist teams - all of which are led by team leaders with many years experience in that field. Indeed, each section is manufactured in their own specialist bays. 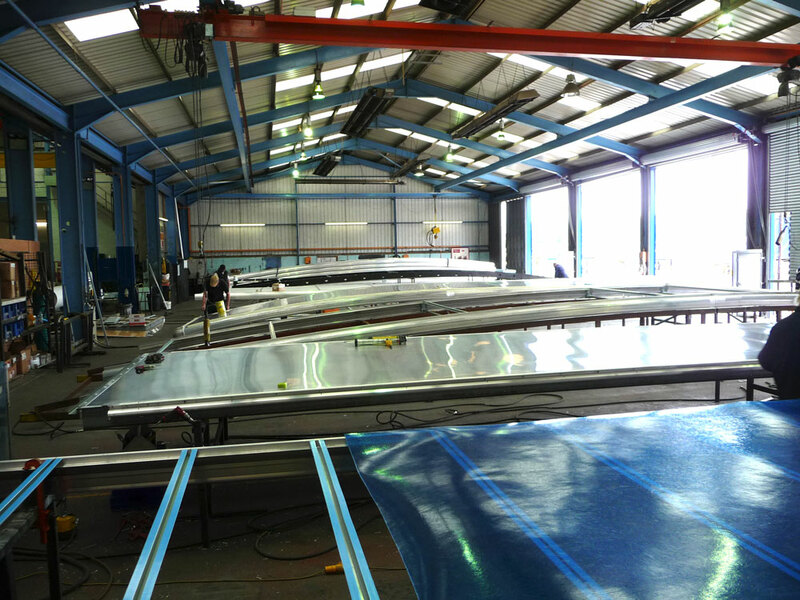 Quality checks are done for each part on completion and sent to the finishing department. This ensures quality consistency early on in the manufacturing process and allows us to remedy any issues quickly and efficiently. The penultimate process for vehicle manufacture is assembly, where all bespoke manufactured parts are assembled into their final products. Backed up by the Solidworks engineering software, final assembly is a rapid process that requires accuracy and experience. 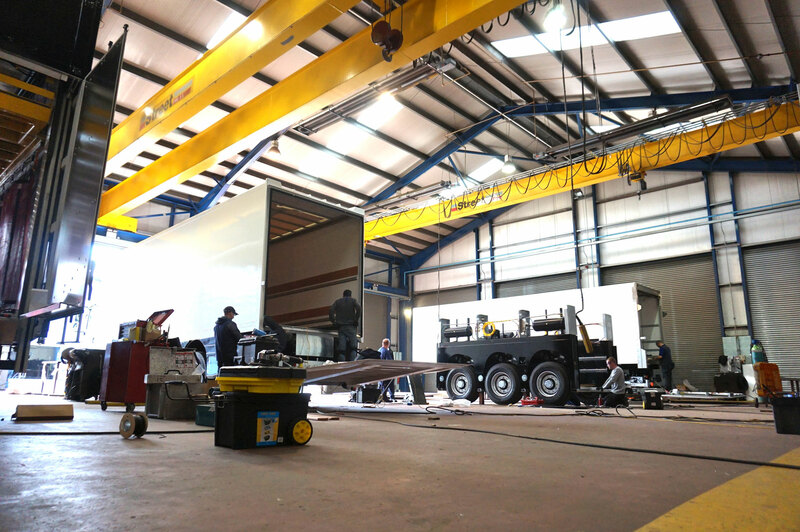 For example, standard curtainsider trailers are commonly assembled in as little as a day. Finishing includes painting, decaling and PDI (Pre Delivery Inspection) and is arguably one of the most critical processes. It ensures that the vehicle looks great, is fit for purpose and, most importantly, that the client is completely satisfied. 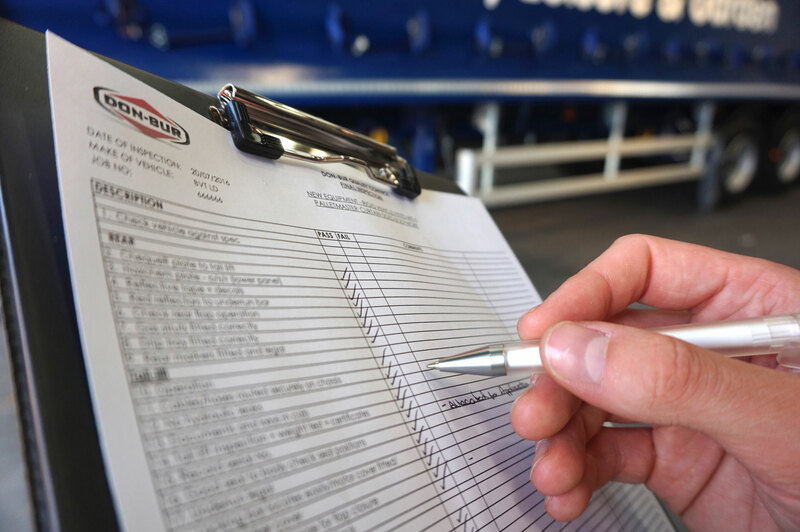 The PDI department is responsible for collating all quality checks done throughout each process and carrying out a thorough complete PDI quality assessment prior to release.